In this feature, we'll take a look back at some older (not necessarily retro) games, that we think were pretty cool then, and may still have value now. 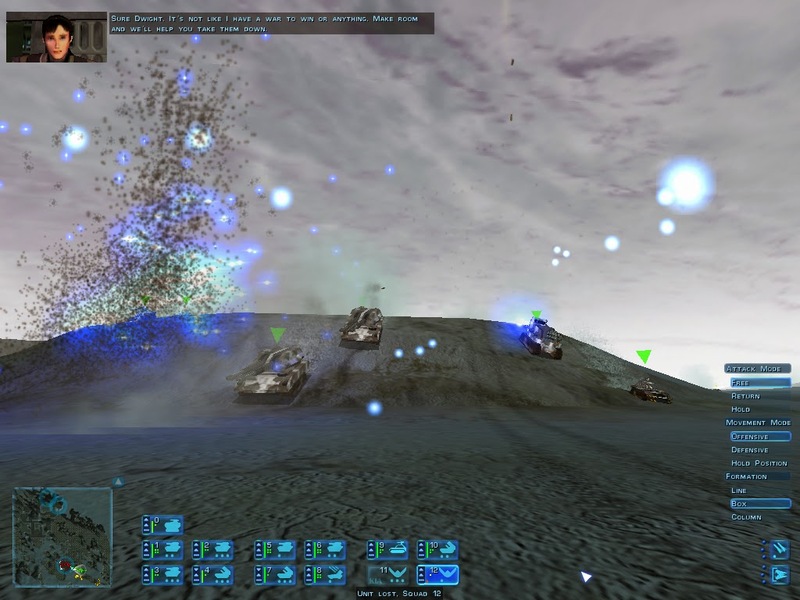 Our first unsuspecting subject, is the venerable Ground Control series, of PC strategy games. Swedish developer Massive Entertainment, now Ubisoft Massive, is perhaps best known today for their 2012 first person shooter release, Far Cry 3, they are currently working on the upcoming, Tom Clancy’s The Division. 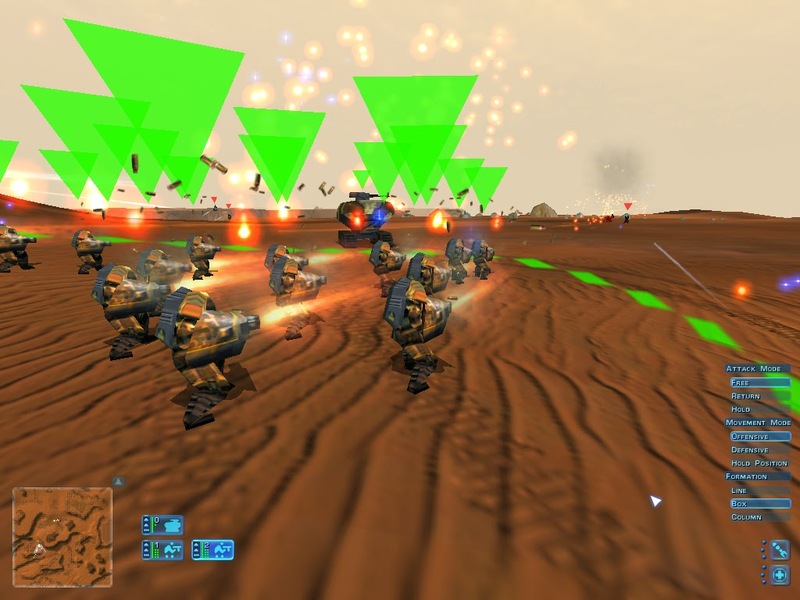 However, Massive’s first game; Ground Control was released in 2000, published by Sierra Studios and was very different from the Ubisoft action games they work on now. Ground Control is a series of highly regarded, sci-fi, PC strategy titles, and in this feature, we’ll examine why they great back in the day, and why might still worth experiencing. Back in 2000, Ground Control’s full rendered 3D graphics were some of the best around. The units were well animated, highly detailed, and allowed you zoom right down to follow them as they waged war across the equally beautiful surface, of Krig-7B. Considering that the game launched more than fourteen years ago, it’s quite impressive to see the amount of visual detail; when a terradyne (tank) fires it’s cannon, the barrel retracts and the shell casing is ejected into the air. Furthermore, weapon effects were just as impressive - explosions bloom of vehicle’s hulls, plasma surges and ripples across the ground, and aerodynes (aircraft) burst into smoking carcasses above the raging battles. It wasn’t just the visual effects that made battles feel like they were really raging around you, the sound design is quite stunning. Up close, each rattle of Marine machinegun fire, burst of plasma, and thump of artillery shells, can be identified with relative ease. As you move further away, the sounds merge into a grand cacophony of battle. The game boasted a solid - occasionally great - soundtrack (I recommend Track 4 ), but perhaps the most standout audio was the voice acting, which brought the characters to life and battles, to life. Ground Control’s 30 mission campaign was split into two; in the first half you followed Major Sarah Parker, voiced by the now renowned voice actress, Jennifer Hale, as she struggled between moral ambiguities and following the orders of Crayven Corporation’s shadowy overlords. The second half of the campaign follows Deacon Jared Stone (Dee Bradley Baker), of the Order of New Dawn, looking to regroup the ‘Dawnie’ forces and retake Krig-7B. The narrative’s driving force is the mysterious ‘Xenofacts’ - huge, alien, red and white obelisks found across Krig-7B’s surface. The characters, like the gung-ho Major Thomas or the pious Cardinal Aegeri, make the story interesting and unique, though at times, some elements feel a little contrived. Your first meeting with Major Thomas is during a raid on an Order of New Dawn outpost; he completely levels a field hospital filled with injured Dawnies, who have already surrendered. 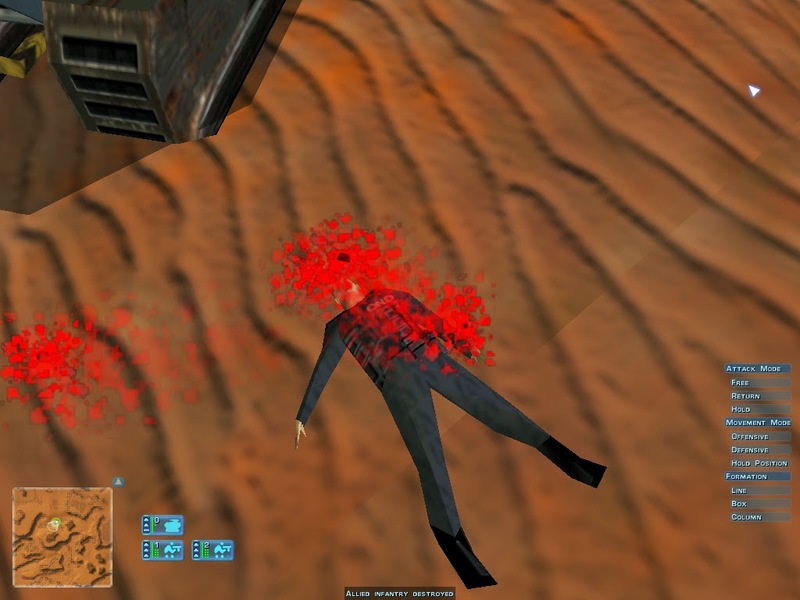 You; Sarah Parker, are of course shocked at Thomas’ barbarity – yet throughout the course of the game you destroy plenty of medical facilities… Regardless, characters like Thomas made the campaign compelling - beyond just the gameplay, they gave life to mission briefings, and after-battle monologues gave the protagonists, Parker and Stone some much needed depth. The level of detail was genuinely astounding. Before each mission, you configure the composition of your forces – you can only fit four different units into a dropship, so choose wisely. You also configure each unit, each squad; its type (a terradyne may be scout, light, medium or heavy, for example), role (offensive, defensive and so on), special abilities, and its name, each unit has its own persistent profile, detailing their battlefield prowess. Such tactical options, have real tangible impact and help add a lot of replay-ability to the missions. Check back to the site tomorrow for Part 2, which will focus more on the gameplay of Ground Control, and the expansion; Ground Control: Dark Conspiracy.